Adventures of Huckleberry Finn by Mark Twain Adventures of Huckleberry Finn is a novel by Mark Twain, first published in the United Kingdom in December 1884 and in the United States in February 1885. Commonly named among the Great American Novels, the work is among the first in major American literature to be written throughout in vernacular English, characterized by local color regionalism. It is told in the first person by Huckleberry "Huck" Finn, a friend of Tom Sawyer and narrator of two other Twain novels (Tom Sawyer Abroad and Tom Sawyer, Detective). It is a direct sequel to The Adventures of Tom Sawyer. The book is noted for its colorful description of people and places along the Mississippi River. 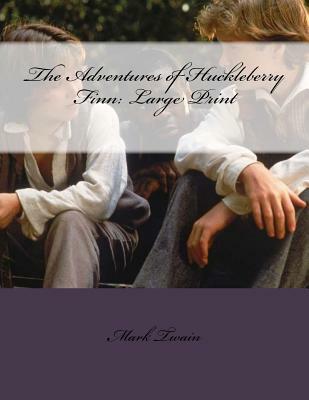 Set in a Southern antebellum society that had ceased to exist about twenty years before the work was published, Adventures of Huckleberry Finn is an often scathing satire on entrenched attitudes, particularly racism. We are delighted to publish this classic book as part of our extensive Classic Library collection. Many of the books in our collection have been out of print for decades, and therefore have not been accessible to the general public. The aim of our publishing program is to facilitate rapid access to this vast reservoir of literature, and our view is that this is a significant literary work, which deserves to be brought back into print after many decades. The contents of the vast majority of titles in the Classic Library have been scanned from the original works. To ensure a high quality product, each title has been meticulously hand curated by our staff. Our philosophy has been guided by a desire to provide the reader with a book that is as close as possible to ownership of the original work. We hope that you will enjoy this wonderful classic work, and that for you it becomes an enriching experience.